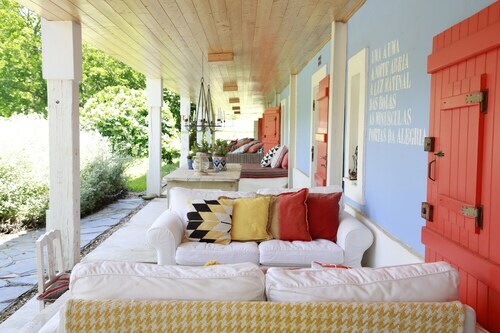 Beach Country House, 300m From Aivados Beach !!! Situated near the beach in Sines, this vacation home is close to Ilha do Pessegueiro Fort, Ilha do Pessegueiro Beach and Porto Covo Beach. Regional attractions also include Jardim do Largo Augusto Fuschino and Junta de Freguesia de Cercal Do Alentejo. Situated by the ocean, this vacation home is 1.7 mi (2.7 km) from Ilha do Pessegueiro Beach and 2.7 mi (4.4 km) from Southwest Alentejo and Vicentine Coast Natural Park. Ilha do Pessegueiro Fort is 1.7 mi (2.7 km) away. Located in the heart of Sines, this apartment building is 0.5 mi (0.8 km) from Porto Covo Beach and within 6 mi (10 km) of Southwest Alentejo and Vicentine Coast Natural Park and Ilha do Pessegueiro Fort. Ilha do Pessegueiro Beach and Sao Torpes Beach are also within 6 mi (10 km). Situated near the beach, this aparthotel is 0.7 mi (1.1 km) from Porto Covo Beach and within 3 mi (5 km) of Ilha do Pessegueiro Beach and Ilha do Pessegueiro Fort. 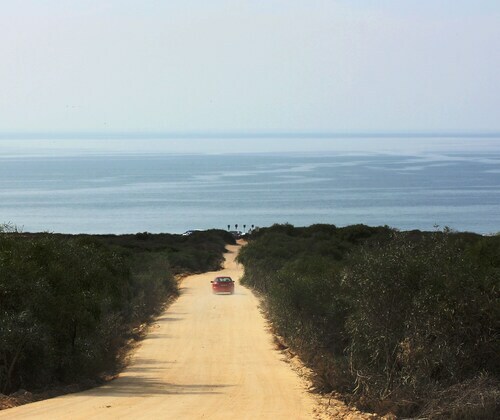 Southwest Alentejo and Vicentine Coast Natural Park and Sao Torpes Beach are also within 6 mi (10 km). Situated by the ocean, this romantic property is 0.4 mi (0.6 km) from Porto Covo Beach and 2.7 mi (4.3 km) from Southwest Alentejo and Vicentine Coast Natural Park. Ilha do Pessegueiro Beach and Ilha do Pessegueiro Fort are also within 3 mi (5 km). 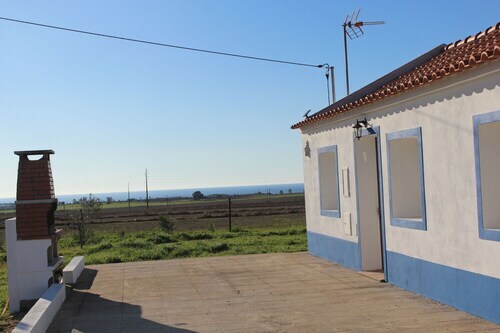 Situated near the beach, this country house is within 3 mi (5 km) of Southwest Alentejo and Vicentine Coast Natural Park, Ilha do Pessegueiro Beach, and Ilha do Pessegueiro Fort. Porto Covo Beach is 2.8 mi (4.6 km) away. Situated on the waterfront, this property is 0.4 mi (0.6 km) from Porto Covo Beach and 2.6 mi (4.2 km) from Southwest Alentejo and Vicentine Coast Natural Park. Ilha do Pessegueiro Beach and Ilha do Pessegueiro Fort are also within 3 mi (5 km). This family-friendly Santiago do Cacem country house is located near the beach, within 3 mi (5 km) of Junta de Freguesia de Cercal Do Alentejo, Jardim do Largo Augusto Fuschino and Cercal Touism Information Centre. Ilha do Pessegueiro Beach and Porto Covo Beach are also within 9 mi (15 km). Situated near the beach, this campground is 0.1 mi (0.1 km) from Southwest Alentejo and Vicentine Coast Natural Park and within 6 mi (10 km) of Beach of Franquia and Vila Nova de Milfontes Beach. Ilha do Pessegueiro Beach and Ilha do Pessegueiro Fort are also within 9 mi (15 km). Situated in Sines, this romantic property is 2.9 mi (4.6 km) from Southwest Alentejo and Vicentine Coast Natural Park and within 6 mi (10 km) of Porto Covo Beach and Ilha do Pessegueiro Beach. Ilha do Pessegueiro Fort and Jardim do Largo Augusto Fuschino are also within 9 mi (15 km). 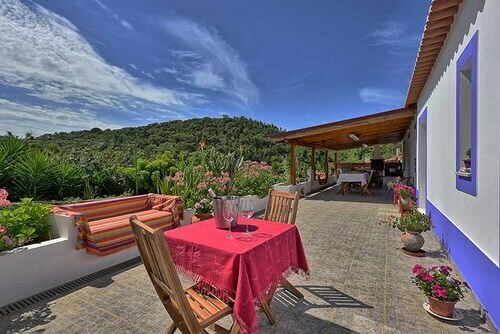 Situated near the beach, this vacation home is within 9 mi (15 km) of Porto Covo Beach, Southwest Alentejo and Vicentine Coast Natural Park, and Sao Torpes Beach. Jardim do Largo Augusto Fuschino and Cercal Touism Information Centre are also within 9 mi (15 km). 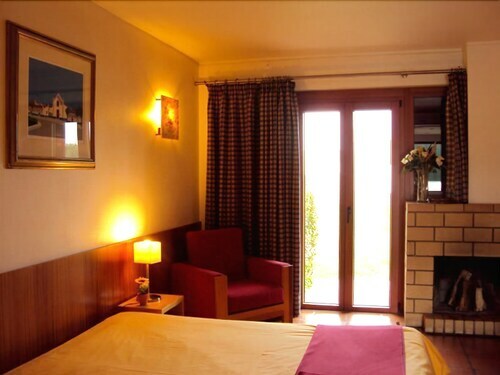 Offering direct access to the beach, this Odemira hotel is steps from Beach of Franquia and Southwest Alentejo and Vicentine Coast Natural Park. Vila Nova de Milfontes Beach is 0.3 mi (0.5 km) away. Don't waste time hemming and hawing about what's next on the agenda. Ilha do Pessegueiro Fort is beckoning. It is in Sines, approximately 55 miles (89 kilometers) outside of the nation's capital, Lisbon District. With just 1 accommodation option that's within easy reach, we suggest reserving your room as soon as you can. It's a quick drive of just 4 miles (6 kilometers) to Ilha do Pessegueiro Fort from the Herdade da Matinha Country House & Restaurant. You don’t need to be a chef to appreciate the fare at Restaurante An Ilha (Unnamed Rd,). What's more, you'll find it just 0.1 miles (0.2 kilometers) away. Don't forget to take your sunglasses when you visit Ilha do Pessegueiro Beach. It's going to be a blissful day in the sun. Looking to find some serenity? Bring your sunglasses to Porto Covo Beach and listen to the crash of the waves. Enjoy the fresh air and listen to the crashing of the waves when you spend the afternoon at Sao Torpes Beach. Take a moment and clear your mind in Jardim do Largo Augusto Fuschino, a green urban oasis. Breathe in the salty air and stare out to sea when you spend the afternoon at Vila Nova de Milfontes Beach. How Much is a Hotel Room in Ilha do Pessegueiro Fort? Hotels in Ilha do Pessegueiro Fort start at $43 per night. Prices and availability subject to change. Additional terms may apply.